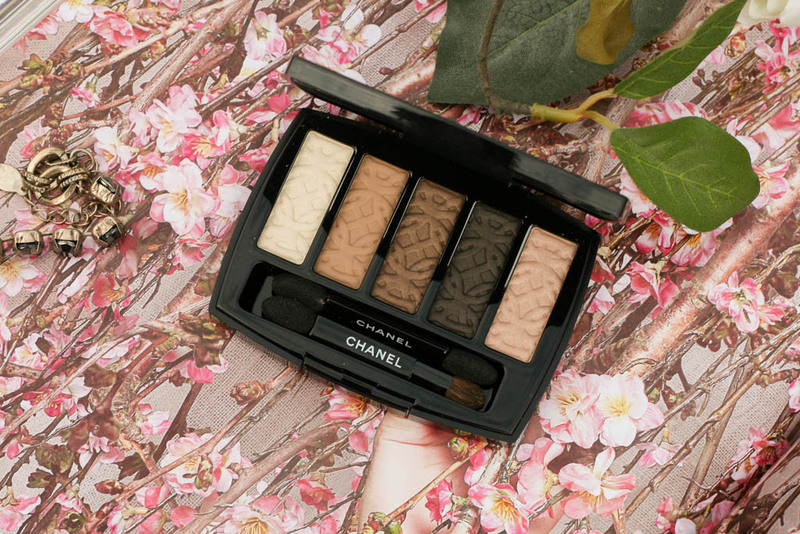 Every time Chanel launch their Autumn/Winter makeup collection, I’ve always been drawn to their limited edition 5-pan eyeshadow palettes but just never taken the plunge. I don’t even know why that is because I love a good Chanel launch and it’s not like I don’t spend a lot of money on makeup or anything! One thing for sure is they run out quickly and by the time I’ve changed my mind, it’s out of stock. Well, this time I decided I wasn’t going to um and ahh over it too much and I’m glad I didn’t. 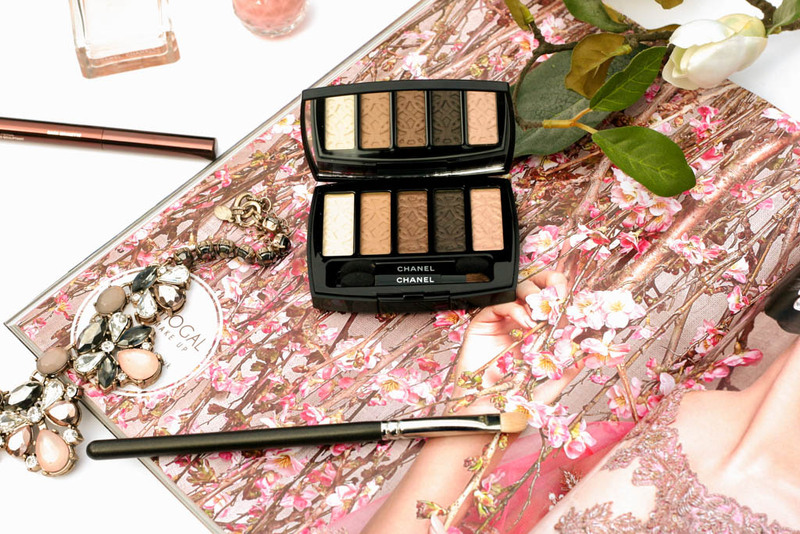 The Limited Edition Chanel Entrelacs Eyeshadow Palette is part of the Chanel Les Automnales Fall 2015 collection. It consists of 5 beautifully embossed warm neutral shades with matte, shimmer and satin finishes. 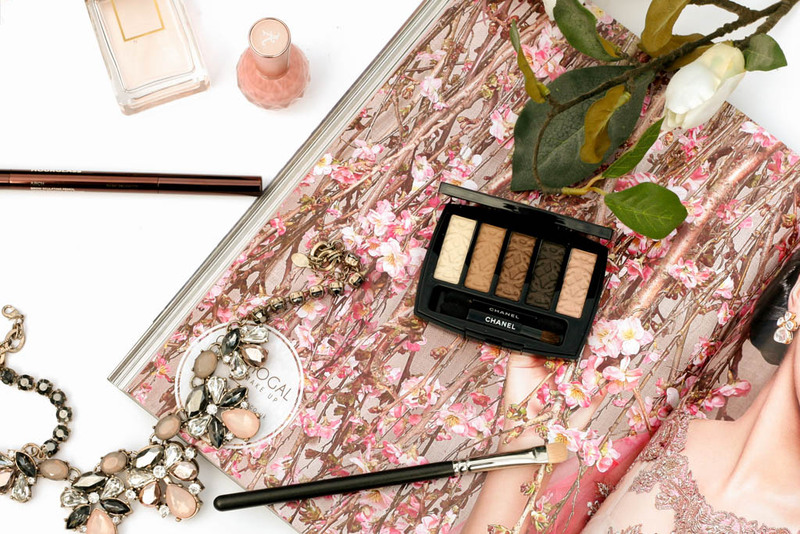 The design on the eyeshadows mimic the stained glass windows of Aubazine Abbey where Gabrielle Chanel spent much of her youth and I have to say that this is what really makes this palette stand out. From left to right, it consists of a soft cream which is a fine shimmer with subtle gold flecks running through it, a milk chocolate brown which is a matte and a great crease colour, a bronzey brown which is a shimmer, a blackened brown which is a fine shimmer and lastly a peach/champagne which is also a fine shimmer. There are some mixed reviews on this palette as some state the colour pay off is not great whilst others love it. For me, as someone who doesn’t own anything like this from Chanel, I really love it. I agree that the overall finish once applied is not mega intense, but the eyeshadows are buildable with the darker colours having the strongest pigmentation, making this palette great for everyday use as well as for when you want a more sultry/smokey look for the evenings. I think with a primer you will get a better result but overall this is a suits all palette with a beautiful mix of wearable colours and as always the packaging is really classy. I know I will get a lot of use out of this and the size and slim line design makes it really easy for travelling too.